Origami or paper folding has been a trademark of Japan for many centuries. It is a form of artwork where papers are folded into different shapes such as plants, animals and other things. Some origami designs are simple to execute while others are very challenging and would require intensive practice to complete. Origami has a lot of different types. These types are as follows. Check out origami.me/ to get started. 1. Action origami - Action origami is basically any paper folded artwork that moves. 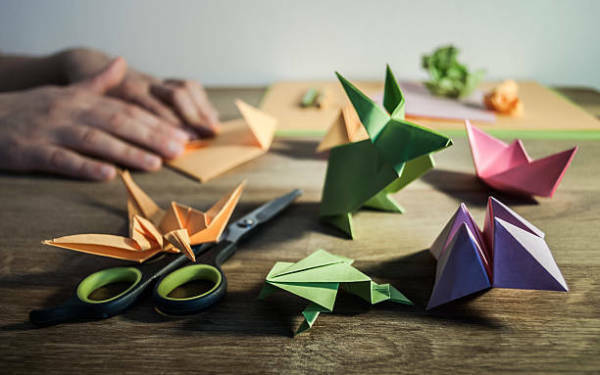 Some can move using nature like the wind while others are relying on a person to provide the necessary movements for the origami to make some actions. Usually the origami will move its wings or limb. As for the origami that uses nature to move, some people are reluctant to consider them as action origami. Find out more about this at origami.me . 2. Modular origami - Modular origami is also referred as the 3D origami. It is not made of one paper alone but dozens or even hundreds of papers. There is one common technique in modular origami. This is by folding multiple papers into one design and putting them all together to make one big model. This technique has been popularized by the Chinese instead of Japanese and was featured by several publications and books. Birds and balls are among the most common form of modular origami. 3. Origami tessellations - This type of origami is the same with modular origami as it uses multiple papers to create one big form. There are a couple of distinct features that this type of origami has that cannot be found in modular origami. One is that the papers are not folded in the same design. In fact, there would be several shapes that will be used in making the origami tessellations. Another is that most of its shapes are into symmetrical and geometric patterns. One example is a snow crystal shape design. Nowadays, origami tessellation makers are using computer software to create different designs. 4. Pureland origami - This type of origami is strictly limited to mountain or valley fold designs. This is one of the most challenging type of origami due to the restrictions when making the artwork. 5. Wet-folding origami - Just by the name alone, it uses water to make an origami. The water will help shape the folded paper into curves and bulges. This is one distinct characteristic of a wet-folding origami. There is also another form that used to be considered an origami which is now known as kirigami. Instead of folding, it used paper cutting techniques to make the shape. As of today, it has been separated from the scope of origami. For more details, check out http://en.wikipedia.org/wiki/Origami .